Looking like the mittens grandmothers often knit, this is one of our grandparents ornaments personalized to make it a memorable keepsake. The Christmas mittens 3 grandkids personalized Christmas ornament is hand painted in merry colors and hand lettered to bring warmth and love this holiday season. 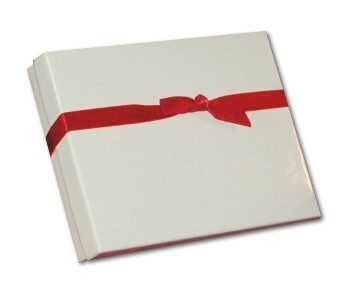 We attach an attractive display cord for easy hanging and ship the ornament in the Russell Rhodes velvet drawstring pouch. 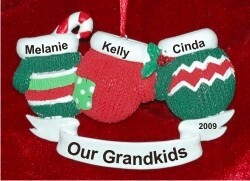 Remember grandparents in a special way this year with the Christmas mittens 3 grandkids ornament personalized just for them.